Dubai: The youth will have a decisive role to play in the “Expo 2020 journey”, according to His Highness Shaikh Mohammad Bin Rashid Al Maktoum, Vice-President and Prime Minister of the UAE and Ruler of Dubai. The visit took place in one of the anchor buildings on the site and overlooking Al Wasl Plaza. It followed a week during which it was confirmed that 190 nations will be participating in the event. Updates were provided on the progress made by the Expo 2020 real estate and development team. Shaikh Mohammad was briefed by Reem Ebrahim Al Hashemi, Minister of State for International Cooperation, and Director-General of Dubai Expo 2020 Bureau about progress on-site and key initiatives, including the Expo School Programme launched in 2016 to create initiatives and resources to enable school students to explore Expo 2020 and its global vision. In October this year, the Expo School Programme launched the Expo 2020 Dubai Visitor Centre as part of its outreach programme, attracting students from both government and private schools across the UAE. The Centre provides an insight into the Expo and offers exciting workshops for students on the Expo themes. The School Programme is supported by other Expo 2020 initiatives that aim to involve UAE youth, including the Volunteer scheme, which has so far attracted around 25,000 expressions of interest. It has also launched internship and apprentice schemes, including a project that offers people of determination opportunities to work at the Expo. Eighty per cent of the Expo-built structures on site will be retained as part of District 2020, an integrated community that will be a new destination in the city of Dubai. The new development is set to open in late 2021. 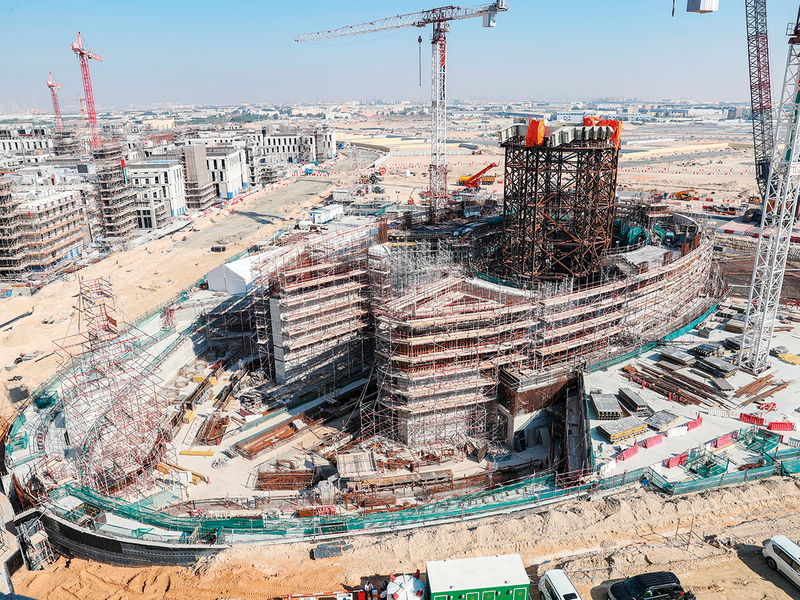 Expo 2020 Dubai will open on October 20, 2020 and close six months later.